Environmental Art Show Now Open! Comments Off on Environmental Art Show Now Open! 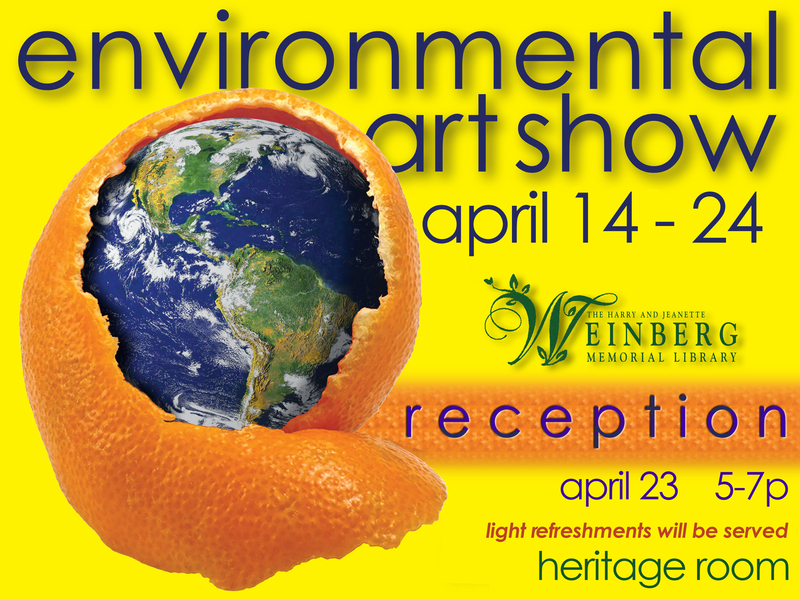 The Environmental Art Show is now open to the public and will be available for viewing during the library’s regular hours. There will be a Reception on Wednesday, April 23rd from 5-7PM. Please join us for light refreshments and the opportunity to meet with the artists and other environmental art enthusiasts. The show will come down on Thursday April 24 by Noon.